Coming soon on RPGNow and DriveThruRPG – the first print-on-demand product from the Tekumel Foundation: Notes from the Thursday Night Group. 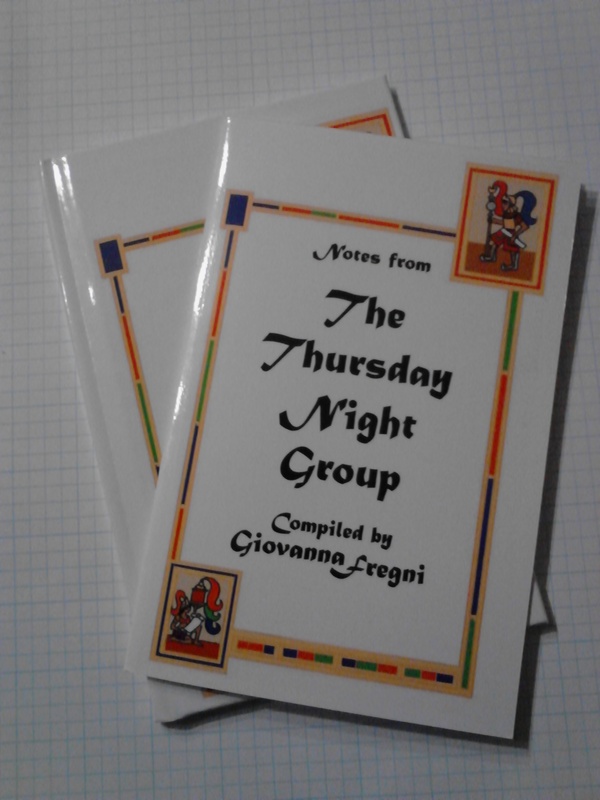 This is a new edition of a booklet originally written and prepared by Giovanna Fregni about the adventures of the Thursday Night Group around Lake Parunal, Tumissa, and the Isles of the Excellent Dead. By purchasing the softcover or hardcover, you will help the Foundation in producing new material for the World of Tekumel. Look for a release in the very near future! There are just three days remaining in the Kickstarter for Béthorm: the Plane of Tékumel RPG – and it is just $800 away from the final stretch goal! Please consider backing this new role-playing game for the World of Tékumel. The Kickstarter ends on Sunday, April 13 2014 11:59 PM CDT. Nice video about Empire of the Petal Throne, Runequest, and Bushido. Very cool – and some fun interference from a VERY young gamer. Kudos to Hedgehobbit for mentioning Tekumel! The Jakallan Underworld: a party of adventurers dedicated to Karakan and Thumis questing for gold and glory were led astray by a disembodied brain of a priestess of Dlamelish. Drawn into the inner sanctums of the Temple of the Green Eyed Lady of Sins, only one of the party escaped the wrath of the Goddess and her minions. Hard Times in Pijnar: this was a pick-up game, in which four Tinaliya charged with protecting a large device of the Ancients found that their Livyani master had been assassinated and the Mu’ugalavyani were invading the city. They discerned how to operate the large, slow moving vehicle and began to escape the city. All seemed to go well until the Lightning Bringer outside the city walls was brought to bear. If they had only tried to use their Eye of Retaining All Things…. Fishing in Lake Parunal: agents of Baron Ald were sent to Lake Parunal to seek aid from the Nyagga – or so they were told. Intrigue and danger awaited them in the fishing town on the shores of the lake. But they were surprised to discover that they just might be some truth to the rumors which led them there originally. After a terrible combat in a domed chamber under the lake, the party defeated their onetime source of information and were returned to the surface. They may not have secured any help from the mysterious aquatic race, but they did capture two Eyes. 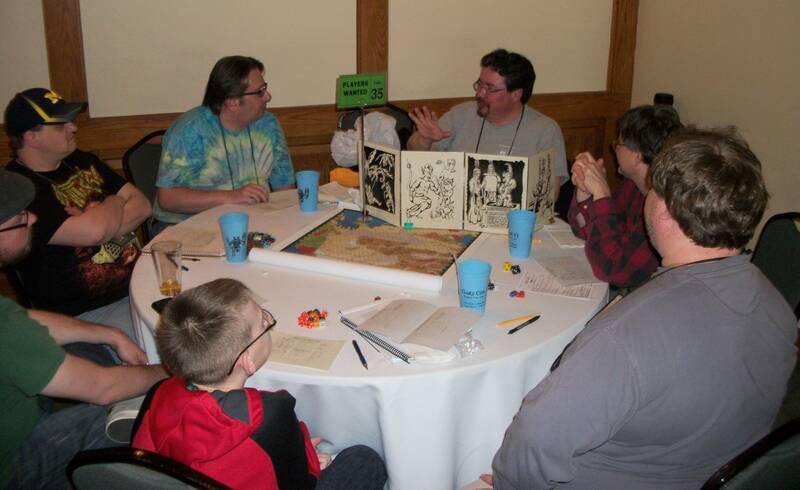 In addition, there were lots of discussions of Tekumel with fans, including Bill Hoyt, Mark Siefert, Mark Eggert, Adam Thornton, and many others! Béthorm: Plane of Tékumel Kickstarter – last ten days!